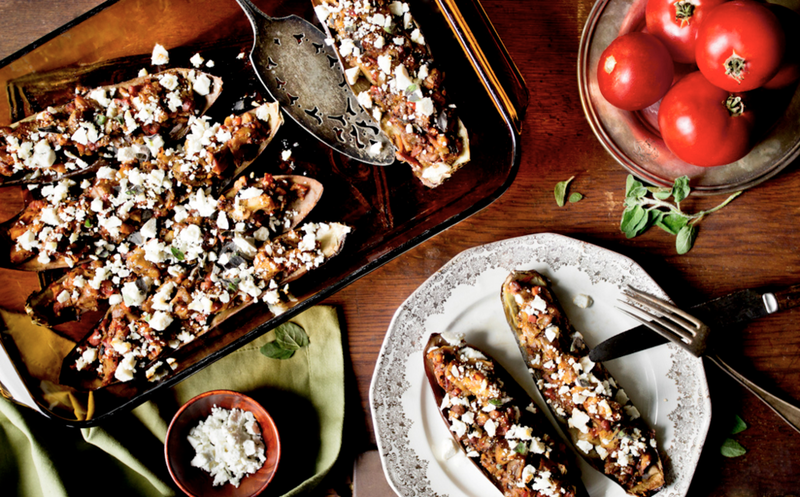 I photographed Florence Fabricant's eggplant baked with tomatoes and ricotta salata recipe for the New York Times a couple months ago and I think it's really special! It's her unique take on eggplant parmigiana. After you bake the eggplant, you scoop out the flesh and chop it so it's very fine, but not a puree. Then you mix it with sauteed ham, garlic and tomatoes and place this mixture back in the eggplant skins. Top it with the cheese and bake for 20 more minutes. How cool is that! ?